Application that proposes to promote interactions with more quality between parents and children through educational games under point of view of children’s psychology, since these relationships are so important for child development. 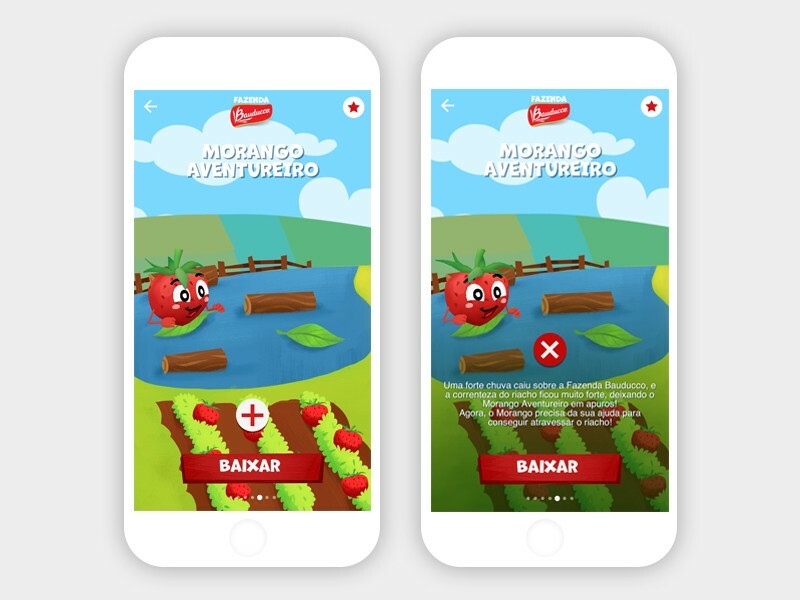 Vetor Zero hired me to continue the entire construction of Bauducco’s marketing campaign for 2018, and for this kick-off of the project, we would open with the launch of a children’s app with some games, which would be the platform for interaction between parents and children and communication of the brand with this target. The concept established for this campaign was “Caring is a delight” or in portuguese "Cuidar é uma Delícia". The team assembled for this project was very lean but concise, being a UX designer focused on research, ideation and prototyping and who directed the design sprints as well, besides there were two Unity developers for the development of 3D games, one illustrator, an art director, a project manager and an account manager. The idea was to share knowledge of all these areas to create, in addition to a structurally well-finished project, a learning experience that we could take for a lifetime. In this first phase of the design project, we did some interviews with people who were part of the campaign target and identified 3 important personas. He works many hours a day for being an executive in search of a quick professional rise. He is a divorced father and tries to make the most of the days he has with his son to give him the attention he may be omitting. He is a first-time father but he does not lose even a moment of growth from his two sons. He is a university professor, 38 years old and a father of those. Likes to know what children do and how they play. He believes that educating is much more than providing financially and materially. He is not such a father because he lives on business trips. Because of this, whenever he is with his children, he tries to provide them with games, cultural activities to fill this distance on account of his work. He likes to have fun with his children, but admits that he gets dizzy from a few games. He’s not an electronic game fan but he agrees it’s something that came to stay. Users were not willing to fill out a registration form to access any type of game. The data was obtained through a research that sought to understand which were the best experiences and the worst when the subject is forms. 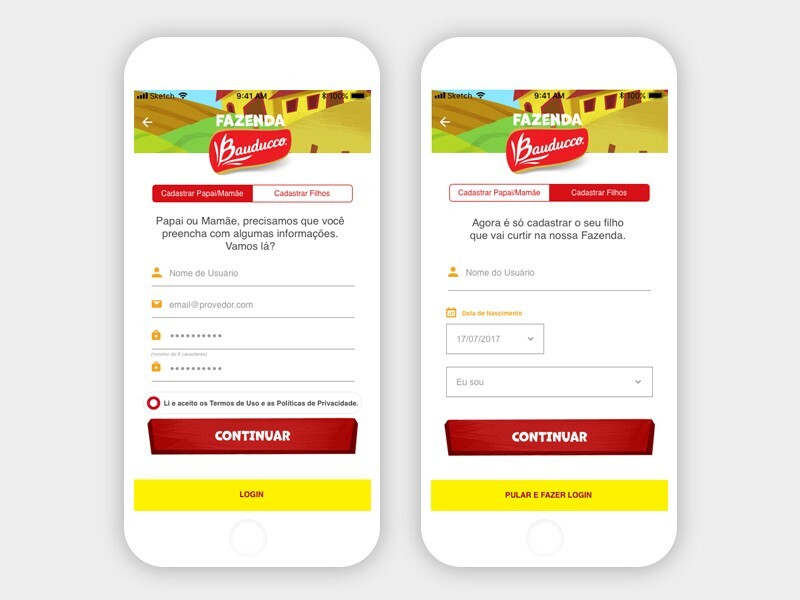 Through the qualitative research responses, we discovered a behavior that happened at a given moment and motive and could be used as lessons learned in suggesting a new filling experience: telling how long it takes to perform the action, making this path as short as possible and ask questions relevant to the app proposal. CRM is a very bad practice seen by users. After organizing all the insights from the exploratory phase, I started designing the application and defining some streams with the team of game developers about how each of them would work as well. 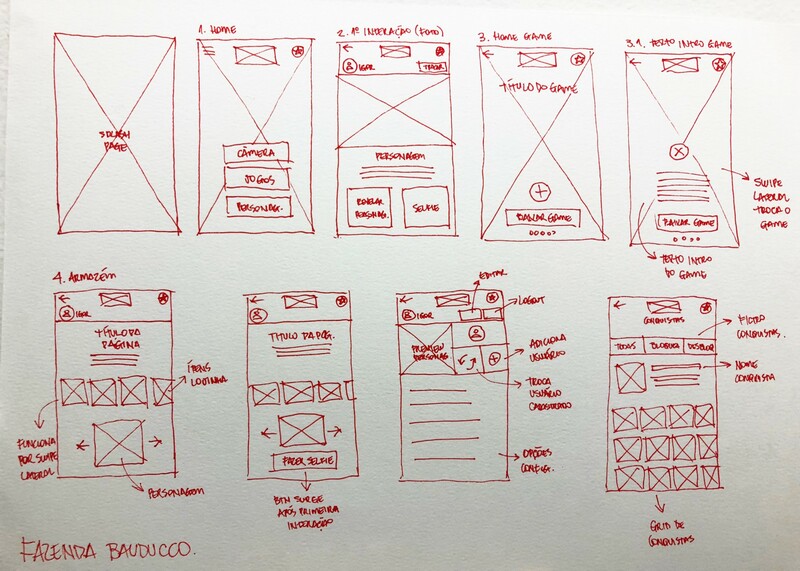 For this, the main tools I used was paper and pen making freehand sketches, a navigable prototype using Adobe XD and Invision, and we did some testing with users using the mirror room feature. After validating the main concepts, I've created a new interactive prototype (now using Axure RP), so some interactions were improved and the new user test generated a lot of information, including important insights on how to solve some problems that had not been identified in the previous step. I put together a script with all the questions and points to be analyzed in our interactive prototype and we hired a company to take the guided test. I was able to follow the test through the mirror room and see some points identified in the script and have new insights into the next steps. Form with 2 steps in a continuous form separated by a title. Suggestion chosen unanimously through A / B tests was suggestion # 2. According to users, it seemed smaller in content and was more user friendly. The client wanted a very large volume of text to explain the game X narrative, neither the children nor their parents read the text. Create an action to watch and reveal the content through a visual call to action and to instigate the child to click and see what happened. Once approved the project phases and all documentation, something that had to be broken during the project to control customer anxiety, the UI project was started. As the application was not developed on a native platform, I was concerned with having a more generic look where it was not possible to identify any elements that could refer to a specific platform, thus avoiding doubts in the users’ minds. With this I paid special attention to elements such as back buttons and interactions that would only happen on one of the available platforms. The idea was to standardize the interaction without losing the inherent appeal of each platform, privileging or harming any of the users. At the end of the whole project, we had the chance to work with a very different audience than the children and to understand the relationship they have with technology that we often can not measure. Research is the key — I could not have designed such an app for users without the help of their own. This sounds cliché but it did us gain quality and time in the final delivery of a UX project that would truly serve our users. 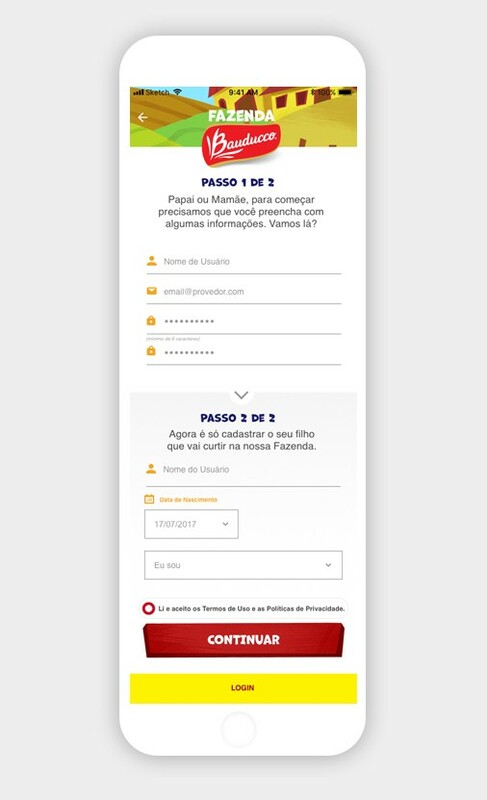 Small things can make a big difference — By changing the way we present the form with only text, we were able to increase the registration fee by 800% over a period of 1 week. The way of communicating changes everything. Do not judge the book by its cover — Writing all email interactions with the registered database may seem annoying but did better understand this relationship of the tool with users and how to communicate better without being invasive making the product and brand better seen by the target.